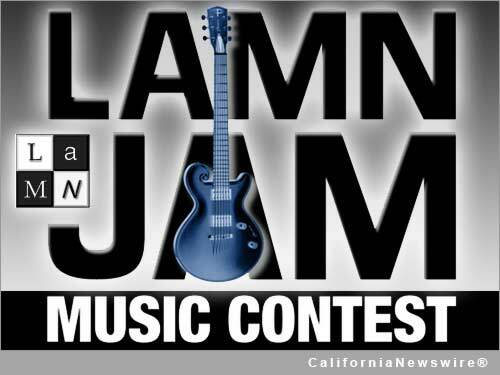 HOLLYWOOD, Calif. /California Newswire/ — The Los Angeles Music Network (LAMN) is delighted to announce a returning sponsor of its upcoming 2014 ROCK and URBAN LAMN Jam Music Contests ("LAMN Jams") happening this spring in Los Angeles. Send2Press(R) Newswire, a unit of Neotrope(R), will again be the official press release service, helping to take LAMN Jams to a new level. The Los Angeles Music Network's "LAMN Jams" are back. Launched in 2005, LAMN Jams go beyond traditional showcases by featuring artists performing original songs, followed by instant critiques from a panel of industry experts. LAMN Jams emphasize creativity and originality, featuring music written by artists themselves (no covers). Past winners include Aloe Blacc, The Mowglis and Grammy(R) award-winning songwriter Tim Fagan. Skinny's Lounge, 4923 Lankershim Blvd., North Hollywood, CA 91601. Send2Press(R) (www.Send2Press.com) is a leading online-based newswire service launched in 2000, providing Direct-to-Editors(TM) targeted news distribution, professional press release writing, along with measurable social media marketing with every project. The service is offered by Neotrope(R), a 31-year old entertainment, PR, and brand-identity company, based in Torrance, Calif. Neotrope was an Inc. 5000 listed company in 2009, is a member of GS1, is listed with the RIAA to generate ISRC codes, and has an A+ Rating with the BBB. The service is unique due to its core staff consisting of working journalists, musicians, and accredited PR professionals. As a sponsor of 2014 LAMN Jam Music Contests, Send2Press will provide professional press release services to the winners (to include media dissemination, SEO, hand submission to social networks, and more) and support marketing for the LAMN Jam series. Additionally, all LAMN members receive 10% off most Send2Press services.